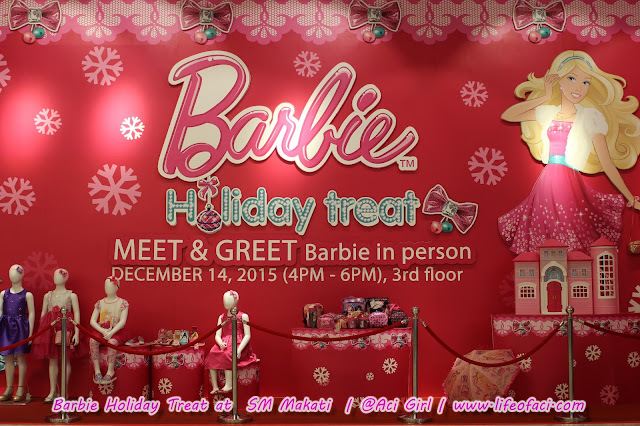 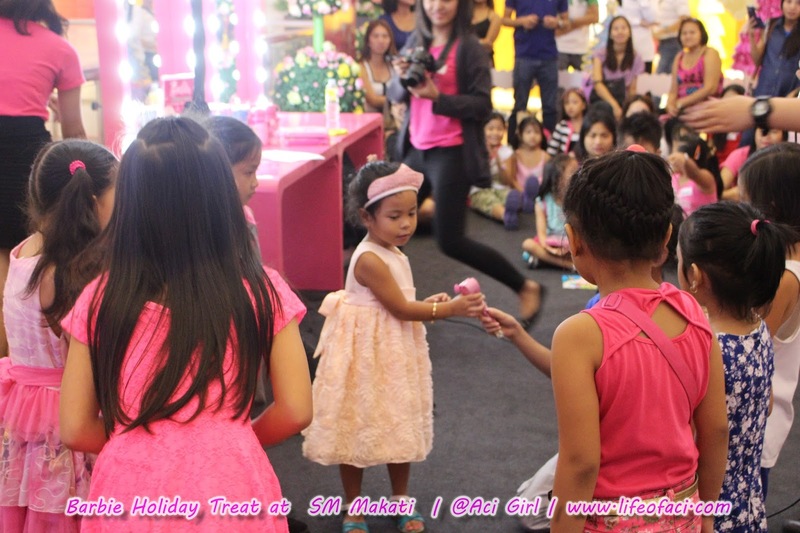 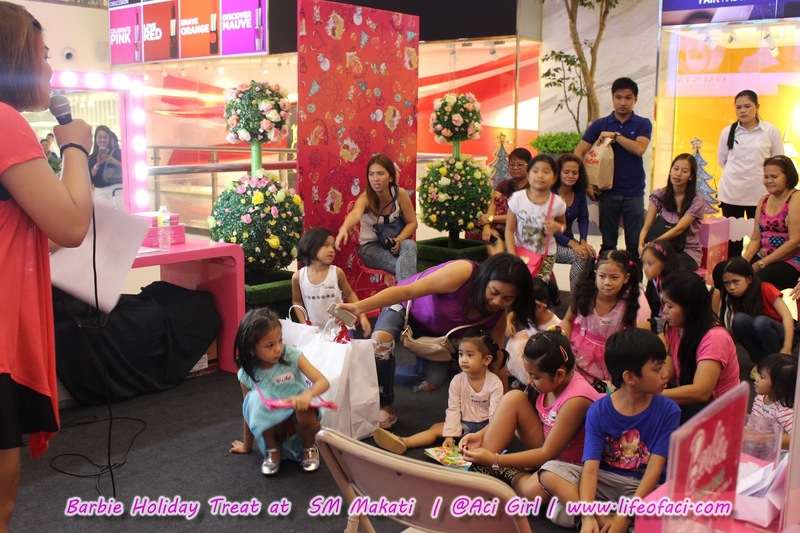 Barbie Holiday Treat at SM Makati + Meet & Greet Princess Courtney Live! 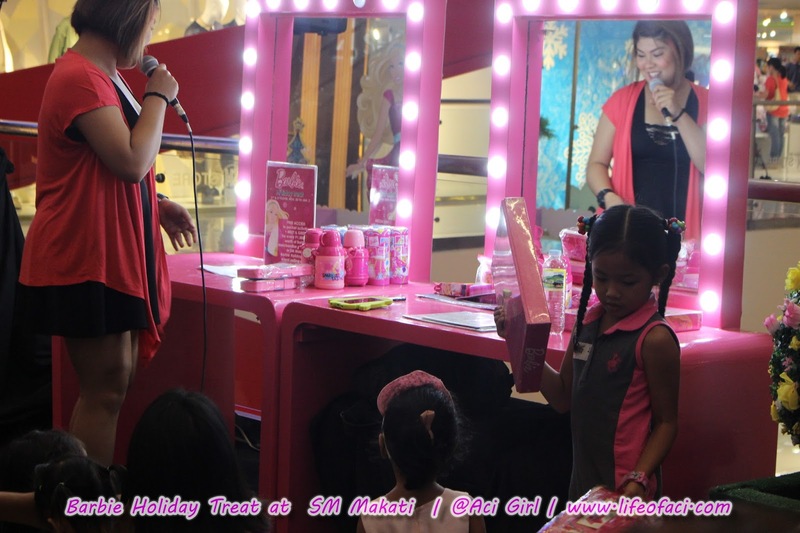 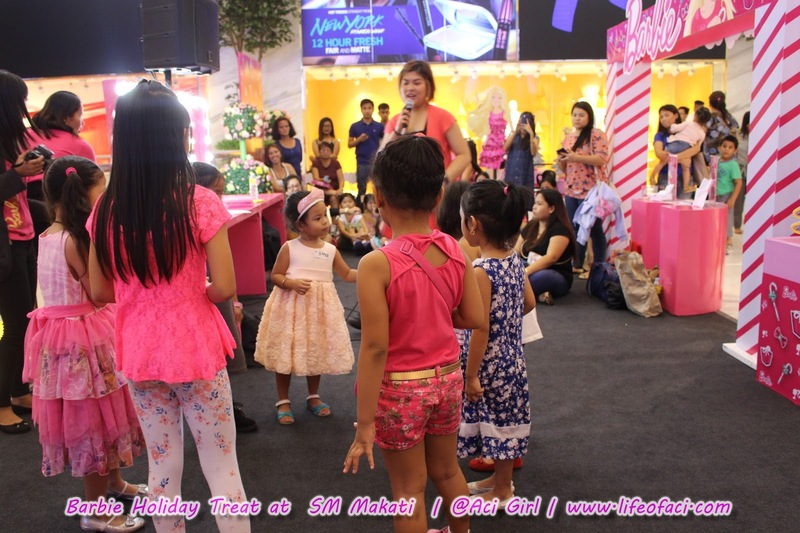 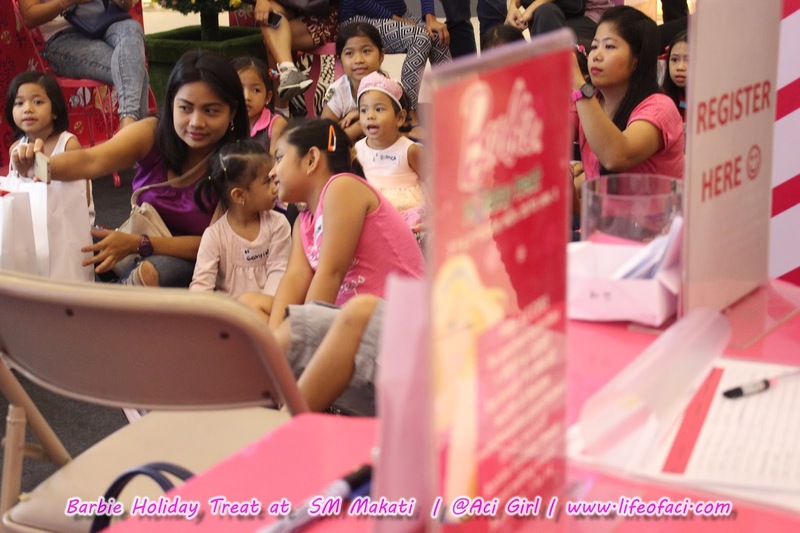 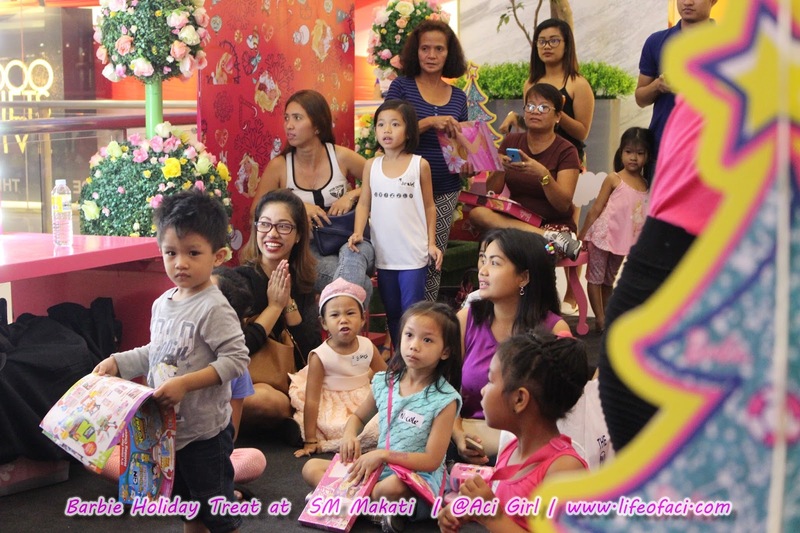 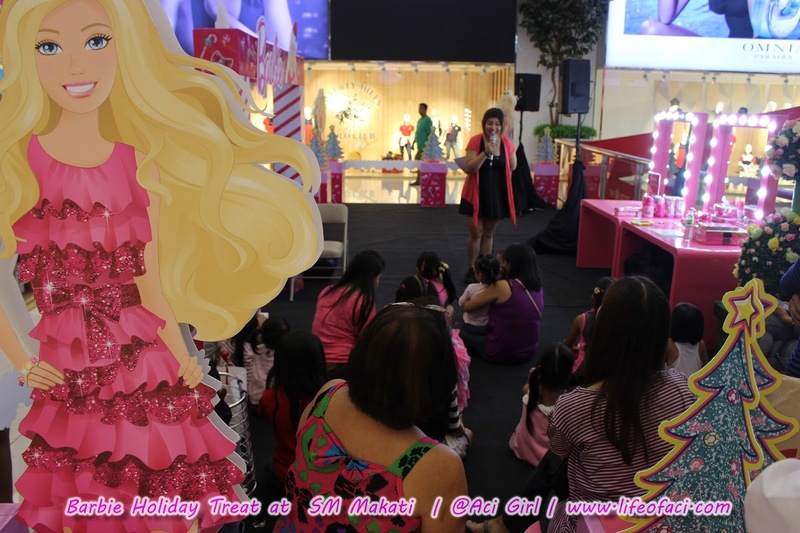 As promised... Barbie Holiday Treat at SM Makati with "Meet & Greet Barbie Live was held last Monday, December 14th. 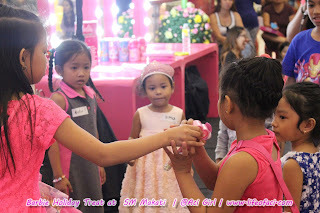 Girls of all ages (yep! 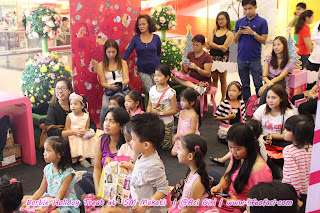 all ages) were spotted at the said event. Barbie Holiday Treat Mechanics and Perks + Meet and Greet Barbie LIVE! 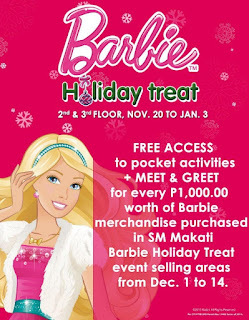 For every P1,000 worth of Barbie Merchandise purchased is your ticket for Barbie's Holiday Treat! 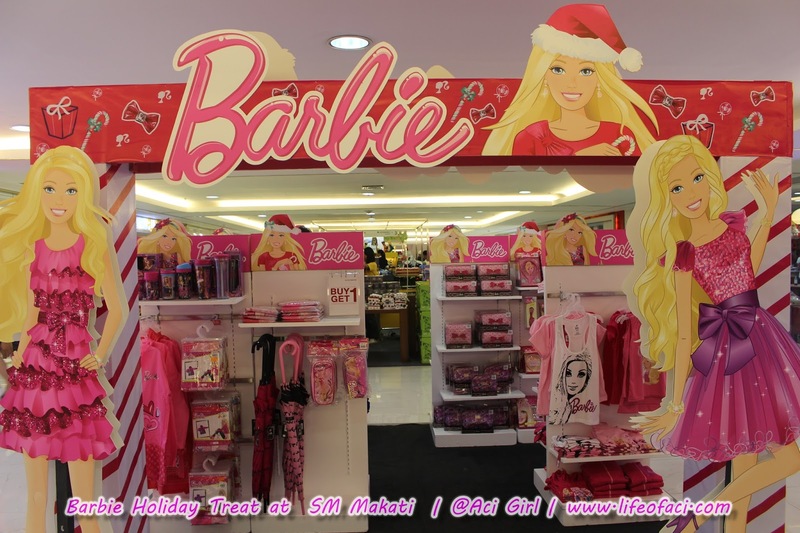 Told Yah! All Ages (^.^,) Every Girl loves Barbie, Including Me! 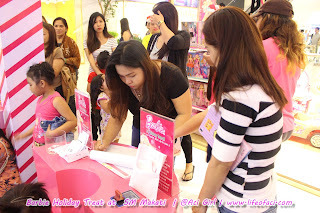 There's a lot of games and prizes that was given away that day. 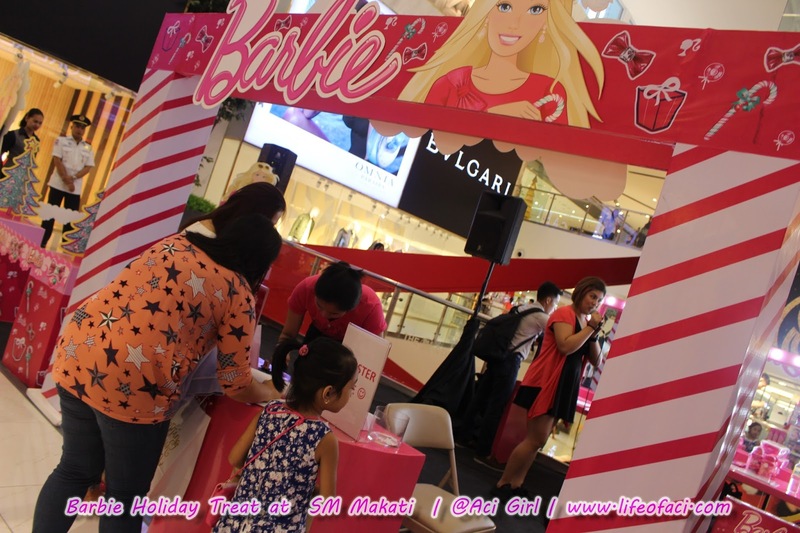 A fun filled Barbie Holiday Treat indeed! Have you noticed the look on their faces??? What could it be? 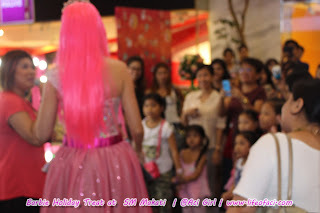 Or WHO could it be??? 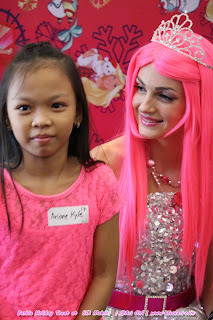 BARBIE as Princess Courtney of Rock and Royals!!!! But Barbie Isn't done yet! 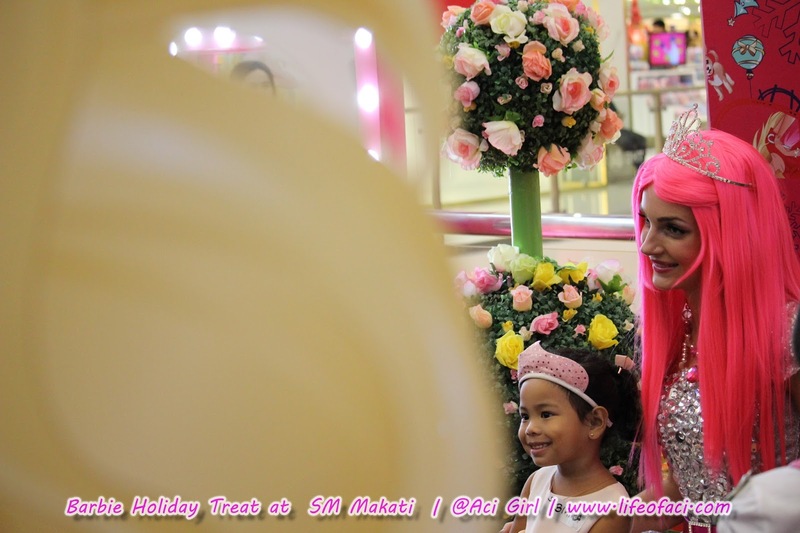 Still more surprises up ahead! Watch out of the last wave of the Barbie Holiday Treat Main Event. Happening tomorrow at SM CUBAO. 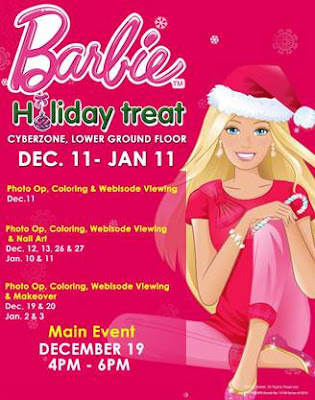 December 19th, Saturday 4pm at SM Cubao CyberZone, Lower Ground Floor. 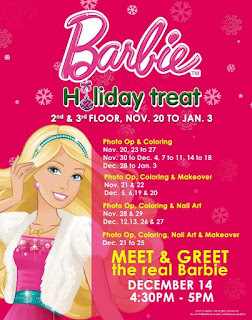 An Event you Barbie Gals shouldn't miss!